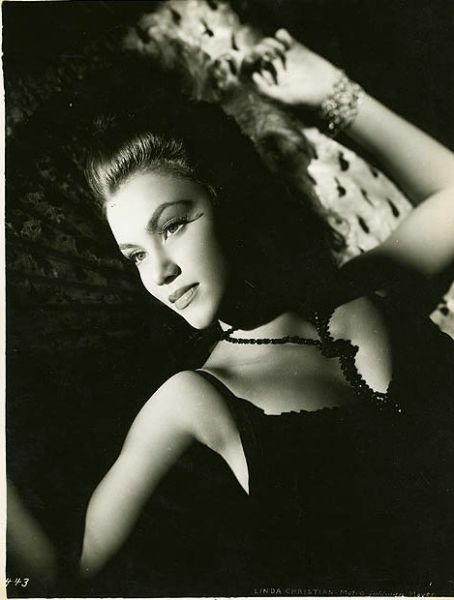 Linda Christian (born November 13, 1923) is a Mexican movie actress, who filmed films in Mexican cinema and in Hollywood, her career reached its peak in the 1940s and 1950s. She played Mara in the last Johnny Weissmuller Tarzan film Tarzan and The Mermaids (1948). She is also noted for being the first Bond girl, appearing in a 1954 TV adaptation of the James Bond novel Casino Royale. In 1963 she starred in an episode of The Alfred Hitchcock Hour, "An Out for Oscar". Christian was born as Blanca Rosa Welter in Tampico, Tamaulipas, Mexico, the daughter of Dutch engineer and Royal Dutch Shell executive, Gerardus Jacob Welter, and his Mexican-born wife of Spanish, German and French descent Blanca Rosa.The Welter family moved a great deal during Christian's youth, living everywhere from South America and Europe, to the Middle East and Africa. As a result of this nomadic lifestyle, Christian became an accomplished polyglot with the ability to speak fluent French, German, Dutch, Spanish, English, Italian, and even a bit of haphazard Arabic and Russian. Christian had three younger siblings, a sister, Ariadna Gloria Welter (1930–1998), and two brothers, Gerardus Jacob Welter (b.1924) and Edward Albert Welter (b.1932). 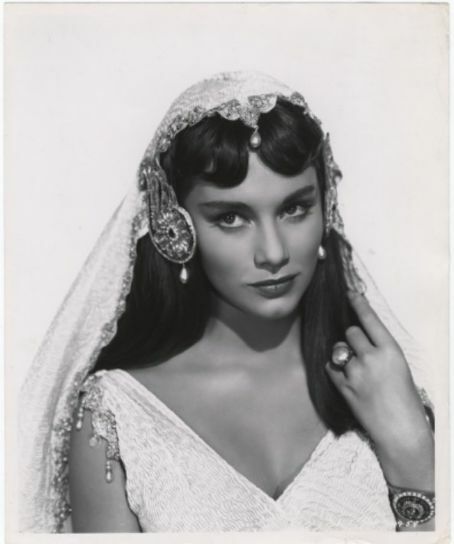 Ariadne Welter was a well-known actress in the Mexican cinema . 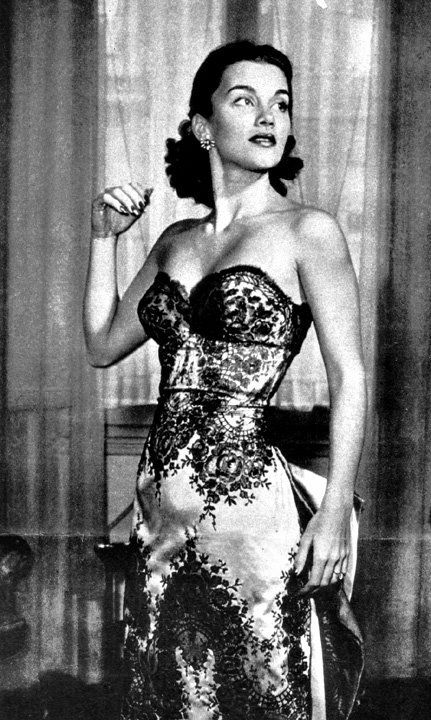 Her most celebrated role was as 'Carlota Cervantes' in Luis Buñuel's 'Ensayo de un Crimen' (The Criminal Life of Archibaldo de la Cruz) in 1955. 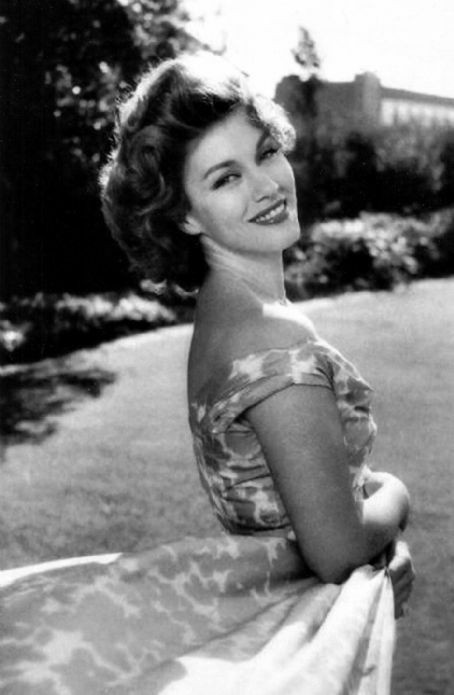 Ariadna continued to appear in movies and on soap operas in Mexico in her later years. In her youth Christian's only aspiration was to become a physician.After she graduated from secondary school she had a fortuitous meeting with her screen idol Errol Flynn, and was persuaded by him to give up her hopes of joining the medical profession, move to Hollywood, and pursue an acting career. Not long after arriving in Hollywood she was spotted by Louis B. Mayer's secretary at a fashion show in Beverly Hills. He offered, and she accepted, a seven year contract with MGM. She made her film debut in the 1944 musical comedy Up In Arms, co-starring Danny Kaye and Dinah Shore. This movie also happened to be Danny Kaye's own first film. This film was followed by Holiday In Mexico in 1946, Green Dolphin Street in 1947, and what was perhaps her best-known film, 1948's Tarzan and the Mermaids. Linda Christian's fame, however, is derived largely from having wed (and divorced) the popular movie actor Tyrone Power. She and Power are the parents of actress Taryn Power and singer Romina Power, one half of the famous Italian singing duo Al Bano & Romina Power. They were married from 1949-1956. Only a month after she divorced Tyrone Power, Linda was seen with athlete Alfonso de Portago, who was married to American Carroll de Portago (later Carroll Petrie). Carroll had recently given birth to his second child. De Portago was also dating model Dorian Leigh, mother of his recently born illegitimate son Kim. Linda was photographed with de Portago at the 1957 Mille Miglia car race when he later crashed his Ferrari and died, killing at least ten spectators in the process. Tyrone Power died the following year of a heart attack at the age of 44. Christian was later also briefly married to the Rome-based British actor (and movie heartthrob) Edmund Purdom. Several times Christian and Power were offered the opportunity to work together, but for various reasons each offer was refused or rescinded. The most notable opportunity to co-star with one another came in 1953, when they were offered leading roles in From Here to Eternity. Power didn't wish to do the film, rejected the offer, and the roles went to Donna Reed and Montgomery Clift, winning Donna Reed an Oscar for Best Actress in a Supporting Role. Christian's autobiography, Linda, was published in 1962. She is the subject of a well-known photograph published in the January 1, 1949 issue of Vogue.